Pattern Description: Eight (8) alternating panels of lotus blossoms and unpatterned panels (where a grape motif would be in the standard Lotus and Grape pattern). This pattern has 8 panels circling a central flower with many petals. Every other panel has a leaves and a stemmed, many petaled lotus flower, the alternating panels are blank. 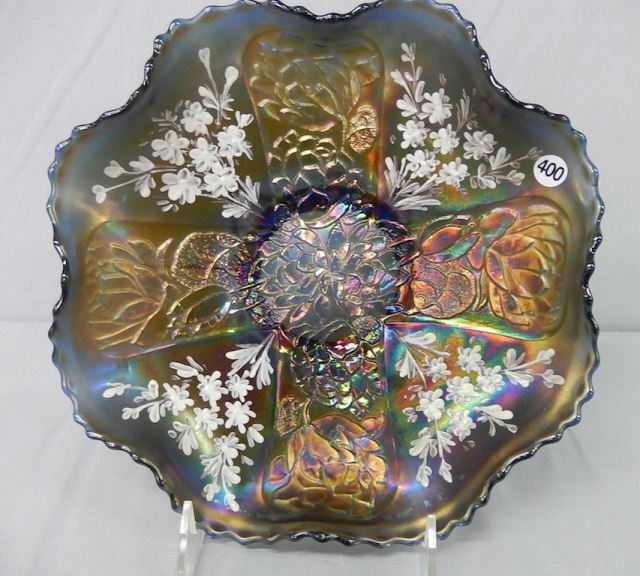 This appears to be a prototype of the Lotus and Grape pattern with semi-blank panels where the Grapes would normally appear. One example has enameled (painted) flowers on the blank panels. 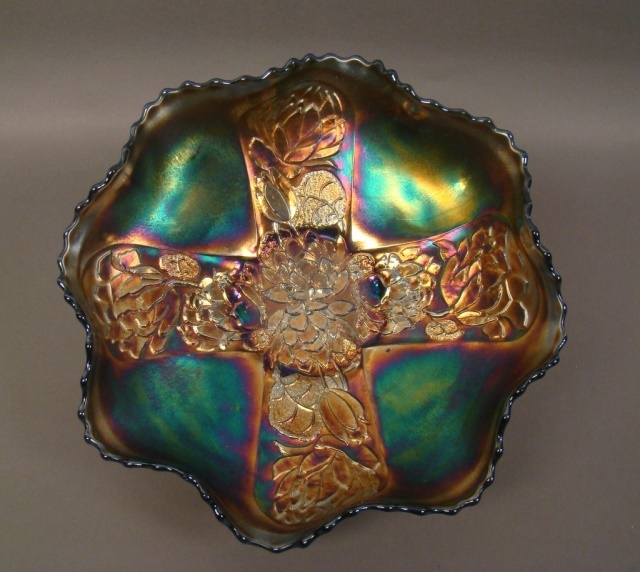 The bowls measure 8 3/4″ – 9″ across.